Thank you for submitting your item for appraisal. 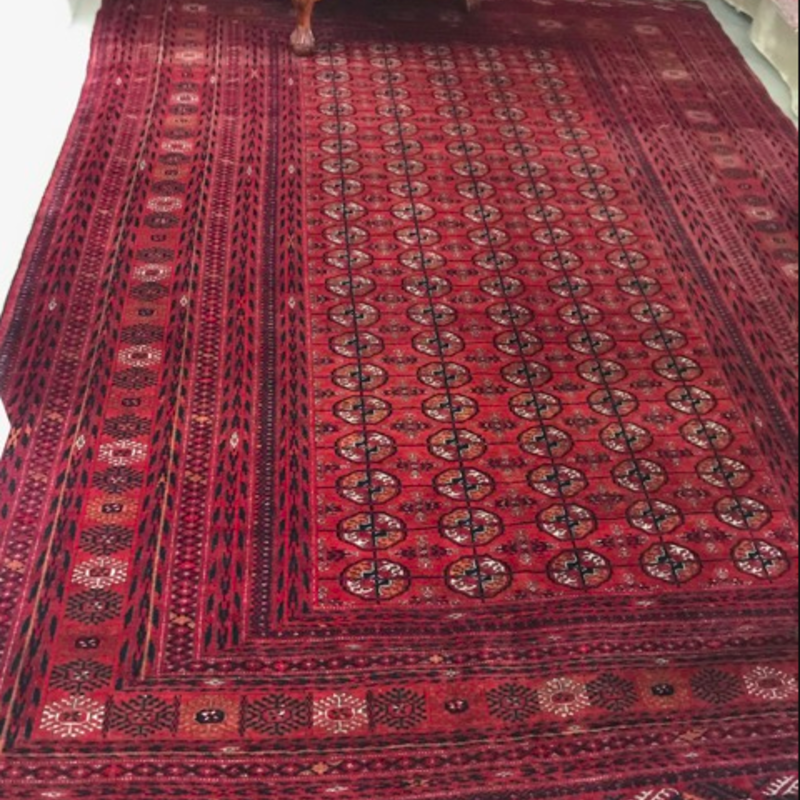 This appears to be a sem-antique Yomud rug from Turkmenistan, showing a beautiful polygon pattern surrounded by severarl borders of abstract and floral patterns. The polygon pattern is widely used by turkmen tribes and can be found both on Yomud and Afghan rugs. The rug in your possession is apparently in good condition and the white, black and red colours perfectly contrast each other. The estimate is based on similar items sold at auction. Asking prices in the oriental rug trade can be much higher and vary.